Be it Chinese congee, Indian khichdi or Filipino Arroz Caldo, rice porridge is the ultimate comfort food! 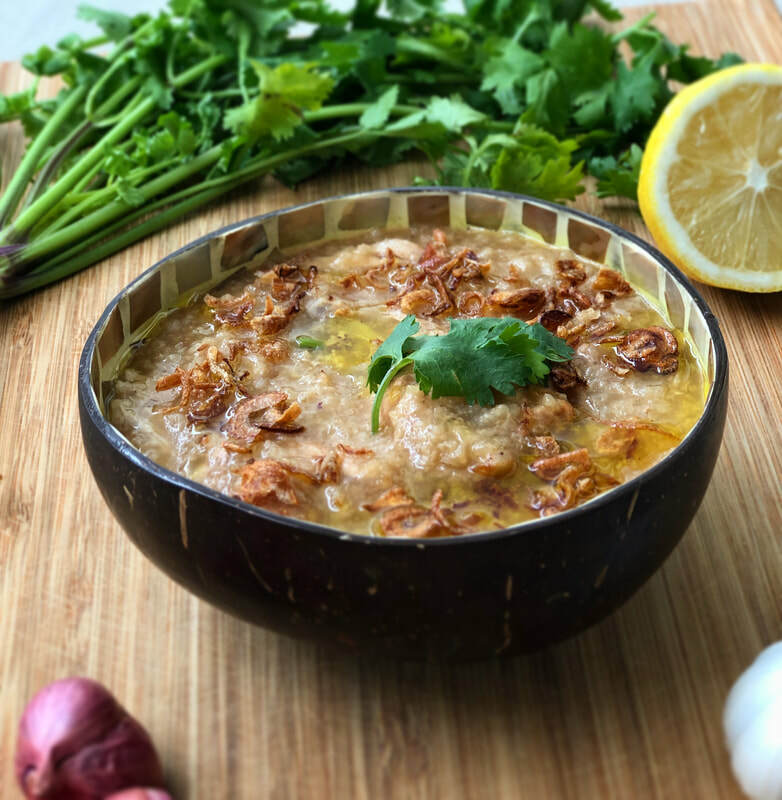 Arroz Caldo may be a simple recipe cooked with rice, chicken wings, ginger and garlic, but the end result is deliciously creamy and packed with flavor. Enjoy the recipe! 1. Rinse rice and soak in water for about an hour. Drain water before use. 2. In a tall saucepan, heat oil on medium flame. Add onion, ginger, and garlic; stir-fry for 2-3 minutes until aromatic. 3. Add chicken wings and cook for 3-4 minutes, stirring occasionally, until lightly golden brown all over. Add a tablespoon of fish sauce and continue cooking for 1-2 minutes. 4. Add drained rice and continue cooking, until it starts to lightly brown. Add water and crumbled chicken stock cubes, stir to dissolve. Bring to the boil. 6. Ladle in 4 large serving bowls. Garnish with boiled eggs, fried garlic, spring onions, lemon or calamansi wedges, and extra fish sauce on the side.